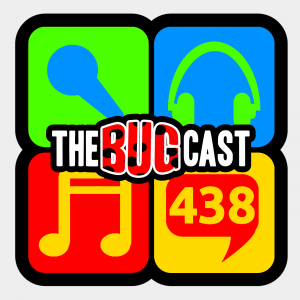 This week on The Bugcast: Yannick and Lainey take over the show with their unique style, and 8 amazing tracks of Creative Commons and independent music from Indytronics, E.M.M, Sunwill, Laura Ashley, Lilly Wolf, Kendra Logozar, The Madpix Project, and Chaz Robinson. This week on The Bugcast: hurricanes, honours, peace prizes, a lot more running, plus 8 great tracks of Creative Commons and independent music from My Monthly Date, Kate Vargas, Doppelagenten, Mellowtone, Mickey Blue, Richtaste, Brain Purist, and The Krickets. 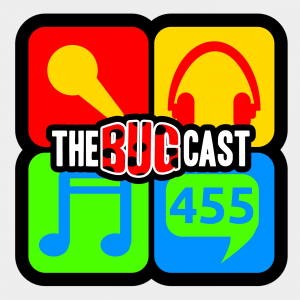 This week on The Bugcast: running, crashing, ghosting, miraging, and petanquing, plus 8 great tracks of Creative Commons music from Bobby, The Freaks, Jody Quine, Gidgets Ga Ga, Aussens@iter featuring Fivestar, Tarra Layne, Indytronics, and Thomas Allan. This week on The Bugcast: baking off, running off, flying off, hashtagging off, plus 8 great tracks of Creative Commons music from Warsaw Gun, ProleteR, Sean Brookes, Boogie Belgique, Quentin Hannappe, A Cup Of Bossas, The Bourgeois, and Le-Fly. This week on The Bugcast: Wilder times, Paralympics, trials, and rekindlings, plus 8 great tracks of Creative Commons and Independent music from Zack Linton, Stoneface Priest, Albin Andersson,Dave Spencer, The Jaygles, Berkley Mallin, Roller Genoa, and The Karma Nites.